We can’t keep delaying a national reckoning. The Obama administration figures it has read the national mood well. This therapeutic generation of Americans loves to talk and worry about problems and then assume that either someone else will solve them or they will go away on their own. And why not, since we have had periodic “energy crises” since 1974, have run budget deficits in most years since World War II, and have been warned about a looming Social Security meltdown for the last decade — yet we remain a wealthy society. #ad# But now gasoline costs more than $4 a gallon in many places in California, and averages more than $3.50 a gallon nationwide. In response, the Obama administration is reportedly considering tapping into the nation’s Strategic Petroleum Reserve to increase supplies and drive down high prices brought on by a recovering world economy and unrest in the oil-rich Middle East. The reserve depot was not designed to alleviate periodic gas-price spikes, but to ensure our very survival during a global catastrophe that might result in a cutoff of most petroleum imports from overseas. There are now more than 700 million barrels of stored oil in the reserve. In times of near-Armageddon, even that huge supply would provide for all of the nation’s oil needs for only a single month. It would make up for all imported-oil cutoffs for only two months. So how is it wise to tap this critical but finite reserve — especially when the current administration had prohibited new oil and gas production in large parts of the Gulf of Mexico and the western United States? The administration certainly will not reconsider new drilling in oil-rich areas in Alaska or elsewhere off the American coasts. The message to Americans seems to be that it is okay to consume old oil stockpiled by previous generations (the reserve was begun in 1975), but quite wrong to drill for new oil to be used by the present generation. This same self-centered approach characterizes the federal budget. The Obama administration appointed a national-debt commission — only to ignore (so far) its recommendations because they’re seen as too painful. But note that the commission did not call for a balanced budget in the immediate future. It suggested that only after 26 more years of massive federal borrowing would we be able to ensure at last Social Security’s long-term financial health. The president often expresses concern over the escalating debt, but he increased annual borrowing this year, leading to a record $1.6 trillion projected deficit. He senses that Americans can neither sustain the present borrowing nor endure the necessary cuts in federal spending, so in response, the mere promise of future frugality seems to excuse even greater present profligacy. There are two constant refrains about the Social Security crisis. One, we are lectured that payouts have already exceeded revenue. Two, we are promised that only future generations, currently far from retirement age, will have to work longer and get less to ensure that the system is solvent. But if all that math is true, why wait to act? If Americans assume that our children and grandchildren may well have it worse than the baby boomers, then why not rework existing retirement plans right now, by either freezing cost-of-living raises or increasing the retirement age? Otherwise, we send the message that a more affluent generation can demand that a less affluent generation make all the sacrifices. It might seem ecologically noble to divert federal irrigation water from hundreds of thousands of acres of California agricultural land to ensure year-round flowing rivers and the health of small-fish species. And if we do not wish to drill for more petroleum, then subsidizing the diversion of midwestern silage land to ethanol production would likewise seem to make sense. But at some point, someone is going to have to tell the people that the less land you produce food on, the less food you have, and the more you pay for what is available. In a time of spiraling food prices, that honest message has rarely been delivered. The United States needs some Harry Truman–like plain speaking, instead of each administration putting off a national reckoning onto the next. Don’t drill for oil and don’t grow food, and the price of both will go up. Spend what you don’t have, and later you will have to pay back even more. The generation that ran up the debt and was largely responsible for the Social Security crisis has a responsibility to make things right on its watch. Such blunt talk is considered political suicide for candidates; in fact, anything less is national suicide for the rest of us. 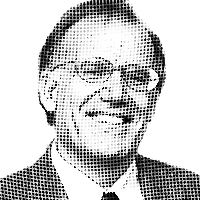 — Victor Davis Hanson is a senior fellow at the Hoover Institution, the editor of Makers of Ancient Strategy: From the Persian Wars to the Fall of Rome, and the author of The Father of Us All: War and History, Ancient and Modern. © 2011 Tribune Media Services, Inc.